What you choose to include is up to you. This is your list. However, it should be varied. It should be achievable. It should be challenging. It should be fun. It can include places to visit, things you wish to learn, things you want to do, things you want to experience and things that get your adrenaline pumping. It really is your choice. To make it worthwhile it should include things that you will look back fondly or with pride. How many items should be on the list? Again, it is up to you. If you work 20 hours per day 7 days per week then learning 10 languages may be a challenge. Perhaps start with one. It depends how involved your items are as well. 50 item lists are quite normal. If they include 10 books to read, then quite achievable. If you are not sure, then start with a 10-item list. This does not have to be a one-off event. This can be something you do in stages. So continuous 10 item lists. Set deadlines but do it from a perspective that this is something to aim for and not a regret if you don’t. Depending on what you include and how long your list is this can be a list for the next year, five years or even ten years. Set yourself something that you can stick to. You can even have specific deadlines for items on the list. You must commit your list to print either by hand or on a computer or app. This is for several reasons including being clear about what your list is and by creating the list in this form it shows your intent to what you want. You can create a bucket list just on a sheet of paper. You can type it onto the computer. 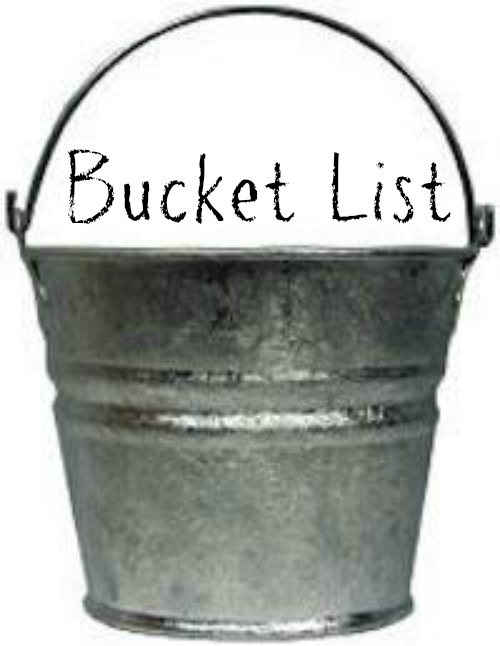 You can use a bucket list app. You could use a to do list app. When you complete an item tick it off your list with a huge smile on your face. Create your list now. Stop reading. Go and do it now. Make it spontaneous. This list can be created when you want. Don’t delay though. Go and create it. If reading this makes you excited about creating the list, then now is the time. You can include anything you choose. It is your list. Here are some examples to prompt you to add items. Challenging things to do, e.g. bungee jump, sky dive, etc. Do a sponsored charity event, e.g. sponsored slim, sponsored swim, etc. The list is about you. It is for you. It is by you. Make it something you will enjoy. Make it something you will love. Make it something that will make you think. Make it something that will make you proud. Make it something that will make you a better you. Good luck!